Resorts are made for relaxing pool days. 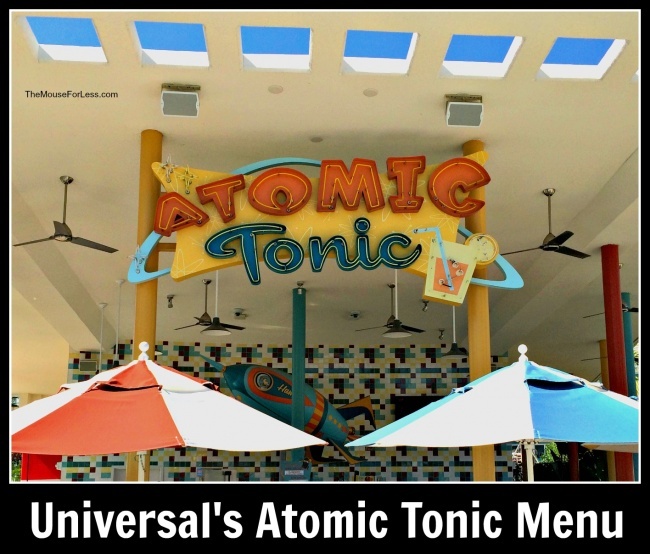 At Universal’s Cabana Bay Beach Resort the Atomic Tonic is a shaded bar and grill at the Cabana Courtyard pool. 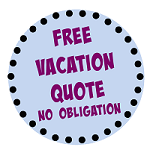 Just steps from your lounge chair you can order out of this world drinks and an easy meal if you get hungry. The Atomic Tonic menu offers kebabs, sandwiches, wraps and salads. All cocktails below blast off with a 16 oz. Cabana Bay Pool Cup for $13, refills for $10. All sandwiches come with your choice of fries, coleslaw or whole fruit. Under 9 years of age. All served with French fries, carrots or apple slices and drink. All salads come with your choice of dressing: Caesar, ranch, blue cheese, Italian.